Miscellaneous - email Blocked or Delete on MSN Messenger to a friend! 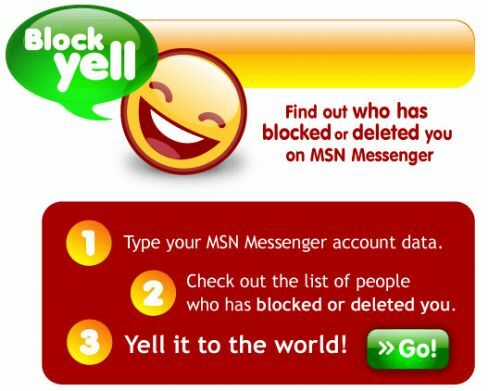 Find out who has blocked or deleted you on MSN Messenger. 1. Type your MSN Messenger account data. 2. Check out the list of people who has blocked or deleted you. 3. Yell it to the world!